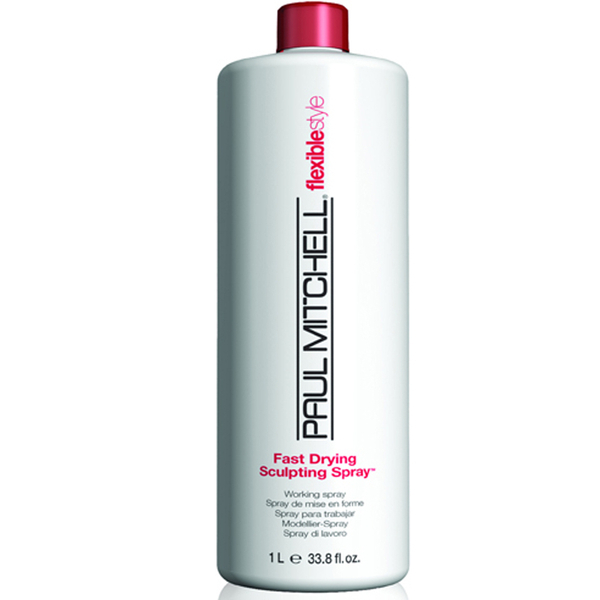 Re-work your style throughout the day with Paul Mitchell Fast Drying Sculpt Spray. Providing medium hold, it reactivates with heat or water, allowing you to switch your style up as often as you like throughout the day. Suitable for all hair types, it won't leave a sticky or stiff residue in your hair, but instead will enhance shine and make your hair look glossy. Enriched with henna, rosemary and aloe vera, it also makes hair easier to comb and style. Spray onto wet or dry hair and style. For maximum volume, lift your hair and spray it close to the scalp.